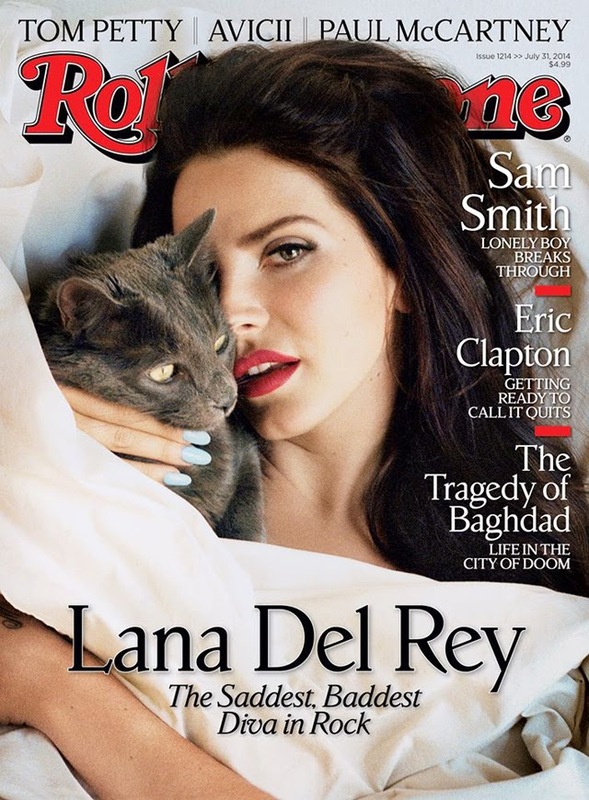 Now tell me that grey cat that Lana Del Rey is clutching doesn't look a tiny bit freaked out? Someone show the outtakes of this cover in creation, please, as I reckon they're worth a watch for comedic value. Yes, that's Lana Del Rey on the cover of Rolling Stone for their latest issue in which the singer truly opens up concerning just about everything. Rolling Stone call Lana Del Rey "The Saddest, Baddest Diva in Rock." Yeah, we'll fly with that. Now apparently, Lana Del Rey didn't even want them to run the cover story at all, saying "I feel like maybe we should wait until there's something good to talk about." Come on, Lana, you know how this works. "Good stuff" doesn't typically sell issues. After reading a preview of this issue's content with Miss Del Rey, we're definitely in for a purchase, if only just to find out what really happened in that aftermath of that Saturday Night Live performance.